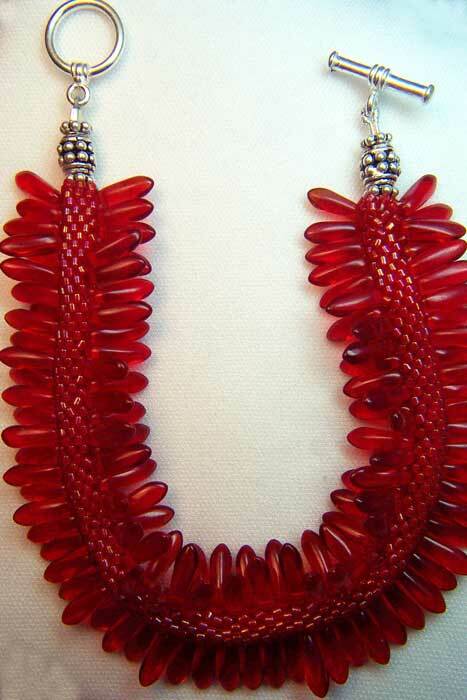 This slipstitch bead crochet pattern uses a great red Delica bead color, and matching daggers. Although this bead crochet pattern is slightly more difficult than most, the instructions will make it easier for you to learn how to crochet with daggers and get the tube started. 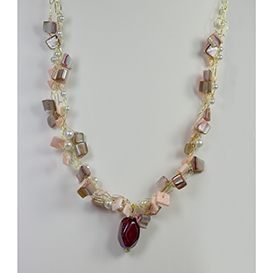 Careful threading of the beads leads to a stunning bracelet! 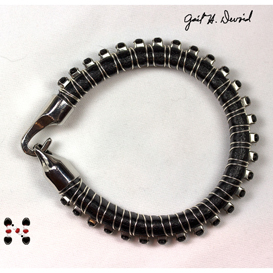 The pattern suggests the sterling silver Bali beads, rondelles, findings, and wire you will need to complete the toggle. Instructions include an Easy Start, as well as detailed instructions and illustrations for an inexperience beader to begin the tube. 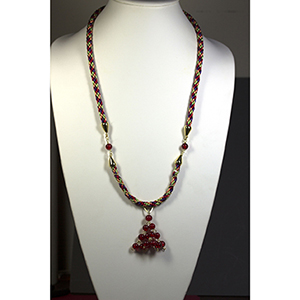 A basic knowledge of bead crochet is assumed. However, experienced bead crochet beaders will find the Easy Start and other instructions helpful while trying to start and finish this pattern. Directions include material list, as well as photographs and figures to help you succeed with this bracelet. 8" - pattern is adjustable for your wrist size.